The 3GPP standards define the roadmap from LTE through LTE Advanced Pro to 5G, lead by the major players in the cellular industry – operators and vendors together. Comparing Speeds and Features from LTE, LTE-Pro and 5G. 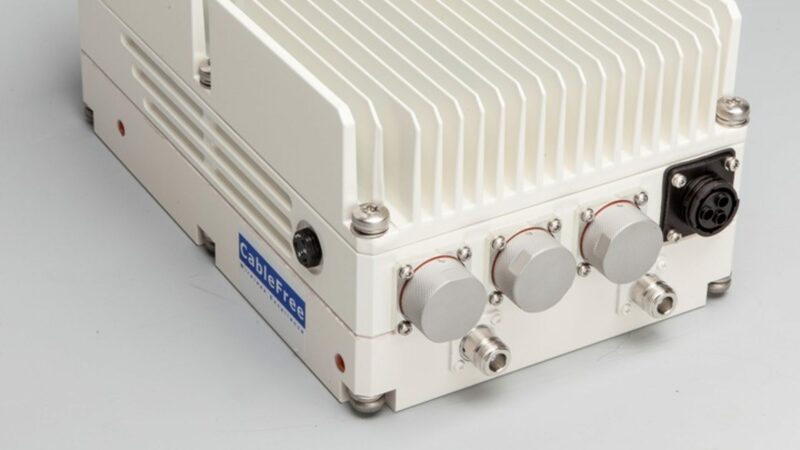 Category 3, Category 6, Category 9, Category 11, Category 12, up to Category 16 LTE CPE devices with up to 1Gbps throughput and support for LTE-LAA, CBRS and Public Safety features. QAM64 up to QAM 256 modulation on downlink. How does LTE achieve 1Gbps Gigabit Speeds? LTE Advanced 1Gbps achieved by combining Carrier Aggregation, Unlicensed Bands, 4×4 MIMO, 256QAM Modulation. As the next phase in the evolution of LTE (3GPP Release 13 and beyond), LTE Advanced Pro does more than just push LTE capabilities closer towards 5G. It will also become an integral part of the 5G mobile network, providing many services essential to the 5G experience starting day one. One key capability that LTE Advanced Pro is enabling globally is Gigabit LTE—technology that brings many new immersive experiences to life, including VR. And delivering Gigabit peak data rates is just the beginning. 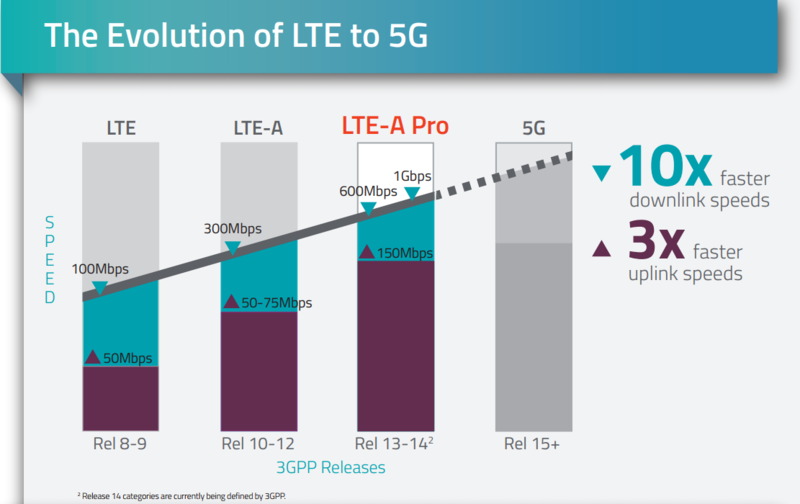 By driving the Gigabit LTE evolution, an anchor of 5G mobile experience, we can provide even faster throughput, lower latency, more capacity and better uniformity in 3GPP Release 13 and beyond. LTE Advanced Pro is enabling many new services that will be a critical part of the 5G world—including connected cars, drones and the Internet of Things (IoT)—and helping create new opportunities for mobile networks and technologies.